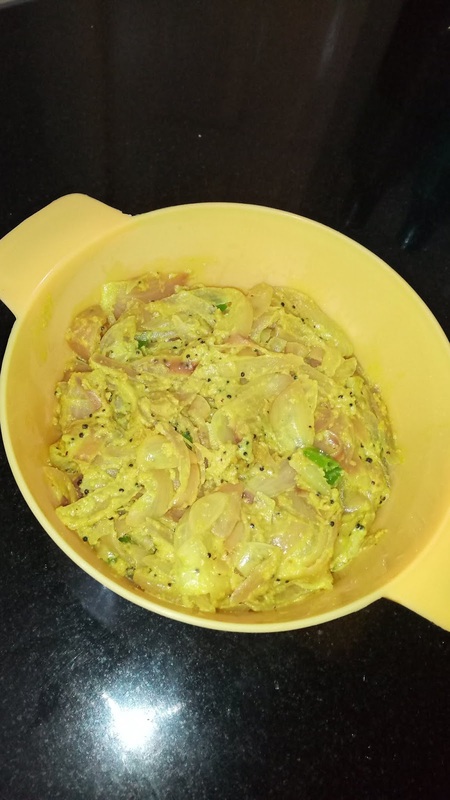 Hello everyone, I am back with my new blog and this time I am going to share my experience with a Bangla dish called Onion Posto or Pyaaz Posto. This dish was totally new to me as I never tasted or even heard about this. I would like to share a short story behind this dish before sharing the recipe. One weekend I and my husband went to my sister’s place to see her sister-in-law’s new born baby. There we meet her mother in law too. It was a normal get-together. They made lunch for us and there I found a new dish, yes, it was Onion Posto. I asked to my sister about it and she told me that it was made by her mother in law. It was one of the favourite dishes of my sister’s husband. The dish was so simple but good in taste. After lunch I asked her the recipe. She told me it was made by onion and posto which is called poppy seeds in English. I was aware about the poppy seeds but it was first time when I saw it at her place. I asked about the recipe and decided to make it, as, it was easy to cook with simple ingredients. Next time, when I went to the market I picked up poppy seeds, as it was the main ingredient of this recipe. And this was the first time I am using it in my life, as I never had poppy seeds at my home before and my mother also never used it. So, all the ingredients were with me and it was the time to cook. And the dish came out so good. I and my husband enjoyed it. This recipe is so simple and quick that anyone can try it. So, here I am sharing this with you all. Try it once and do let me know. Heat the oil and put mustard seeds. Once the mustard seeds started popping out put green chillies in it. Fry it for a while and now add Onions. Fry it again and now add turmeric powder and salt. Once the onions are soft and translucent, pour the poppy seeds paste in it.